For many decades there have been countless numbers of TV shows being aired; sometimes it feels like there would be a new show every day. Since I was a child I enjoyed watching good television. Due to the shows my parents introduced me to, I would like to believe that I am open to many different shows and I do not stick to the same couple of shows. I looked around for the top TV shows of all time, but every pop cultural website and magazine had a very wide range of what they thought the best TV shows of all time are. So, I owe it to myself to rank the top 10 television shows of all time. The Ed Sullivan Show: This show is was a classic, airing from 1948 to 1971. Ed Sullivan showed us many talented groups and artists from The Beatles, Elvis Presley, The Jackson 5, and even The Muppets. Ed Sullivan brought lots of joy through his show and he is the reason many stars got their big break. Jeopardy: Who is the greatest game show host of all time? Who is Alex Trebek? Jeopardy began airing in 1964 with the original host Art Fleming then in 1984 Trebek took it over. Three contestants try to answer as many questions from various categories to see who can bring home the most money. Saturday Night Live: SNL started airing in 1975. This show is one everybody knows, and most of us know that this comedy show has created many famous skits from cowbells to their famous political skits. Over the decades this show has made all of us laugh at one point or another. Law and Order: Law and Order began airing in 1990 and had its final season in 2010. This was a show where American procedural and legal drama show. This show pulled from true events that happened and this show also has many familiar faces in a lot of their episodes. Cheers: A place where everybody knows your name. A show about a washed up former relief Red Sox pitcher Sam who owns a bar and is the bartender. The show was based on the romantic banter with Sam and the bookworm Diane; the show was always bringing in someone new to keep it exciting. Cheers aired from 1982- 1993. Sesame Street: Elmo’s world was the place to be for any kid. As a child you could sit in front of the television and always learn a valuable life lesson. We also learned how to count and say different words and learned how to interact with our peers. Sesame Street always brought joy to many children from 1969 to now. 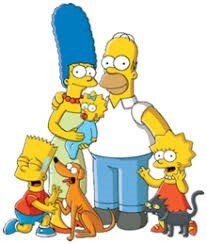 The Simpsons: This animated show with the most seasons has become a huge phenomenon with amusement parks inspired after the town of Springfield the giant donuts and of course Homer Simpsons and his family. The Tonight Show: A show that interviews famous celebrities, that started as a radio show in Los Angeles but later was brought to television and Jack Parr took over as host then later on with the famous host Johnny Carson. The current show is hosted by Jimmy Fallon and he plays many games with his guests and has an amazing band alongside him. I Love Lucy: Lucille Ball was the star of this show alongside her husband Ricky and their two best friends. Lucy and her friend Ethel were always getting into trouble or they were put in funny situations. Every episode was filled with laughs and excitement. I Love Lucy aired in 1951- 1957. Picking these top ten shows was a challenge Many did not make the list, but I am confident in the shows I did pick because all of them brought joy and excitement to lots of people.